On February 1st 2016, WhatsApp announced that 1 billion people were using the WhatsApp messenger service– and the numbers are still rising. This makes WhatsApp, without a doubt, the most used messaging service available for mobile phones today. According to this statistic, approximately 30 billion messages are sent via WhatsApp daily, with 700 million of those being photos, 200 million being voice messages and 100 million being video messages. While images and videos are oftentimes automatically stored on your device or can easily be downloaded from the WhatsApp messenger, voice messages aren’t as easy to preserve. Luckily, there is a quick and easy way to save those messages as MP3s! Many different files can be sent via WhatsApp, including images, videos and audio files. When it comes to audio, there is a difference, however. You can, on one hand, send music or other stored audio files to your contacts. On the other hand, you can record a voice message directly via WhatsApp and send it. The latter is what we know as voice messages. They are recorded using the microphone button inside the application. Depending on your phone, this folder is located in your internal storage or on an SD card you’re using. On iOS devices, WhatsApp voice messages aren’t stored separately. You save or send them to you in a different way. In this video, it’s explained how to send the voice message to yourself via e-mail. If you have Google Drive installed on your iPhone, you can also save the voice note on this cloud service. When downloading the voice message file to your computer, it may appear as a simple audio file or with the OPUS ending. No matter which version you get, you can use both for the next step. Once you know where you can find the voice messages, it’s easy to turn them into MP3 files. 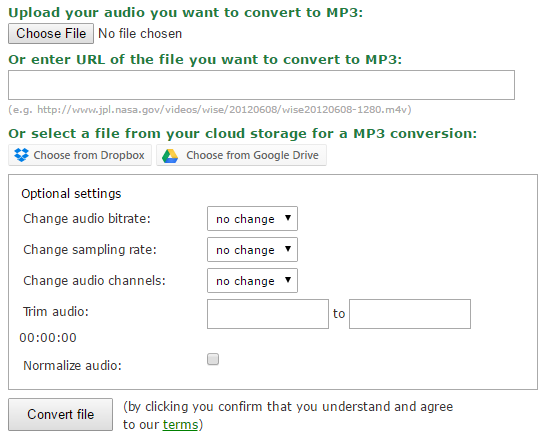 Go to https://audio.online-convert.com/convert-to-mp3 and upload your file. There are several possibilities to do this. On Android, you can directly go to the link above in a browser and upload the file from the folder mentioned above. On an iPhone, depending on how you have received your file, you may have to go to a computer to grab your file from an e-mail you sent. In both cases, you can select your file from Google Drive which is an option on both Android and iOS to send your voice message to. If you want to, you can use the optional settings to enhance the voice message, but if you are happy with it as it is, simply click on “Convert file”. 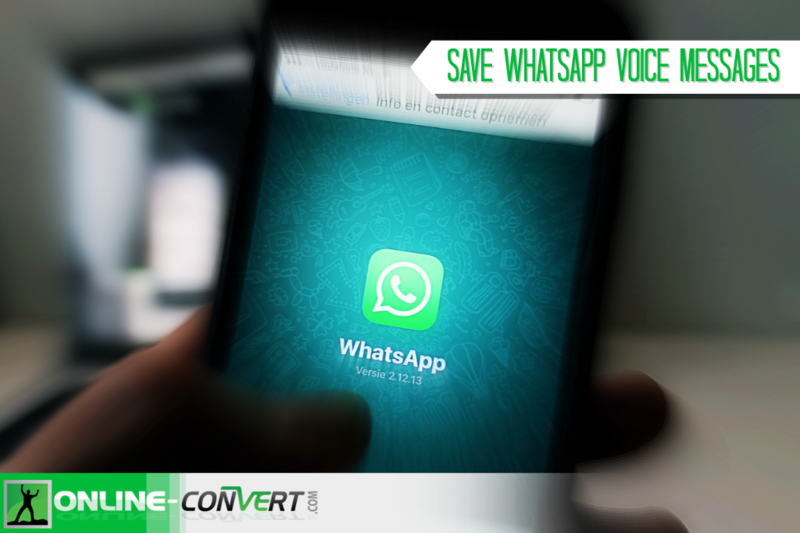 After a short time, you will be able to download the converted MP3 file of your WhatsApp voice message. And that’s it! Simple, wasn’t it? And completely for free as well! ← Is Your Cell Phone Listening To Your Conversations?